Spooky night filled with little ghosts walking down the street asking for Trick or Treat. A night when even the adults get to be a little childish, trying on different costumes and having a little fun. I love to try out new nail art ideas during this season but this time I didn't got much time to workout a nail art inspired by my one of the favorite holidays. 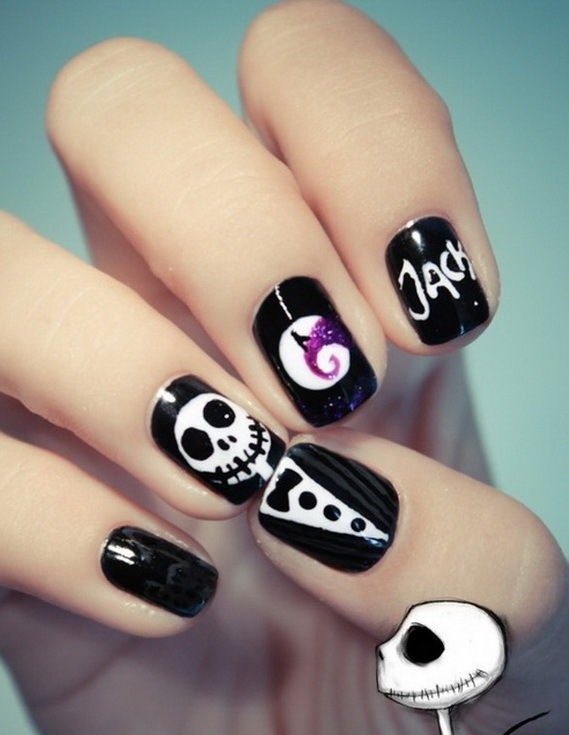 But for you all, I have some crazy and easy to do Halloween inspired nail art ideas. 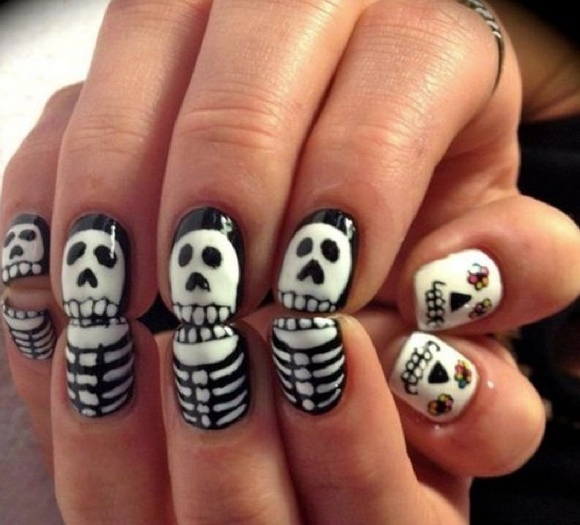 Check them out and have fun trying them on your nails. Here we go! Who does not love bats on crazy spooky Halloween night! 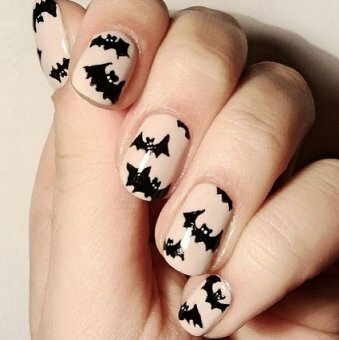 Try this French manicure in form of bats. 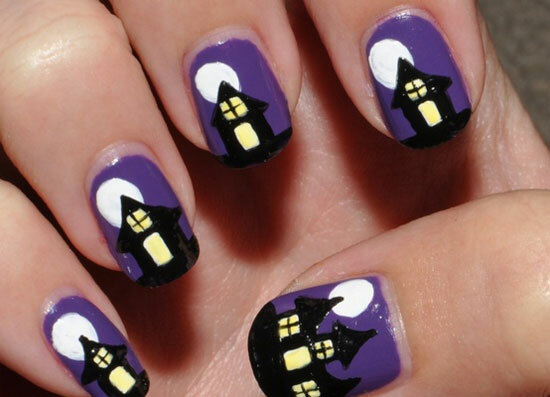 A little house on the hill and moon rising behind it, Perfect combo for a Halloween nail art! 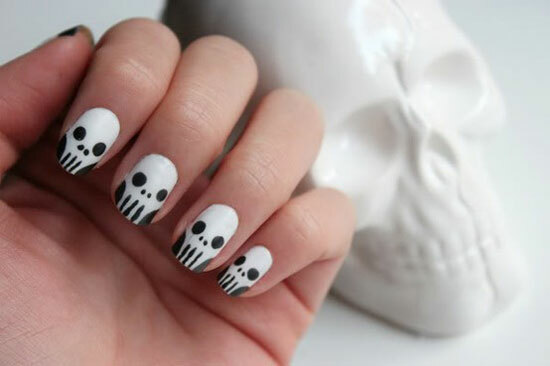 Any Halloween nail art is incomplete without skulls. These ones are definitely adorable! 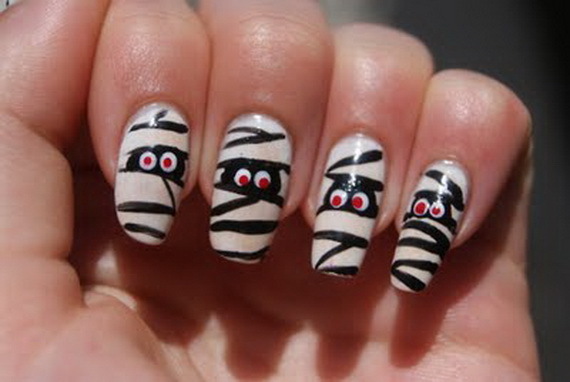 Ooooooooo..... Red eyed mummy is here to scare you! I bet these are the adorable spider web. Who though spider webs could be so stylish. 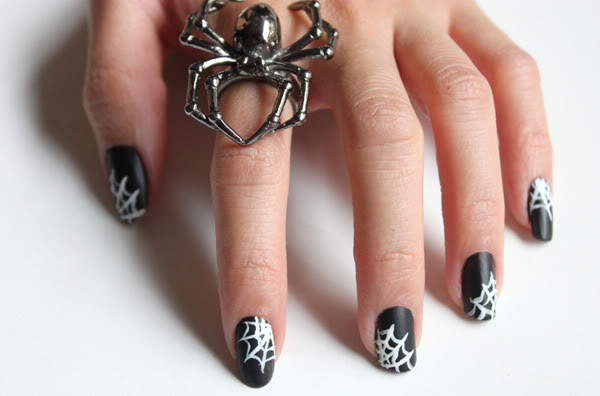 Try this spider web nail art. Eyes in the dark night wobbeling around. Definitely time for some Halloween fun! Spooky Jack is here to scare you dressed up in tuxedo! 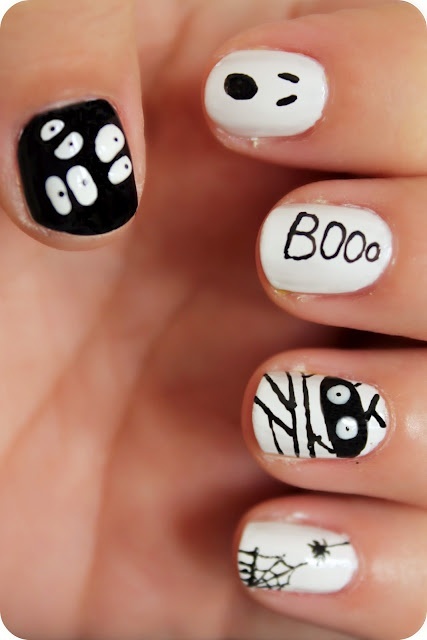 Cute and easy to do Halloween nail art for little ones! 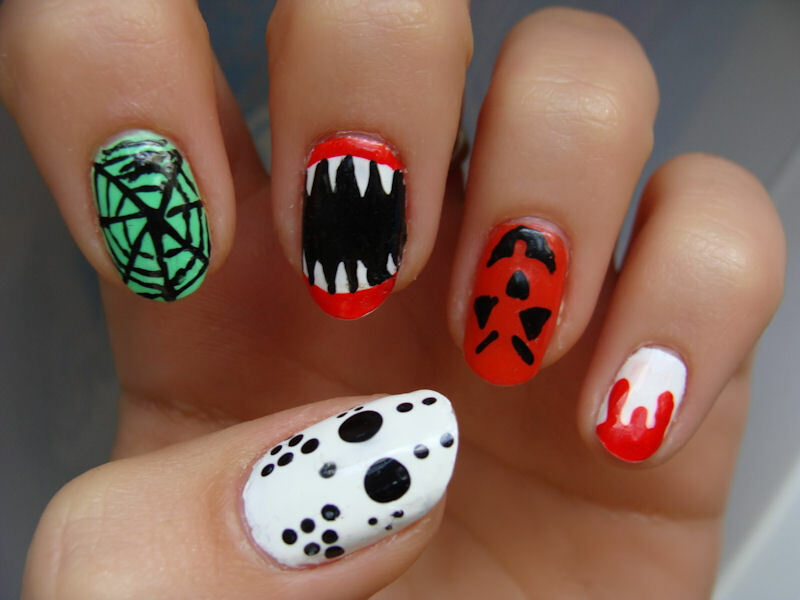 A little blood, some spider webs, a hungary vampire, ghost and a Jack-o-lantern, perfect recipe for Halloween night! RIP.... but do not rest in peace on a Halloween night, it is time to party! They are here to spook you! 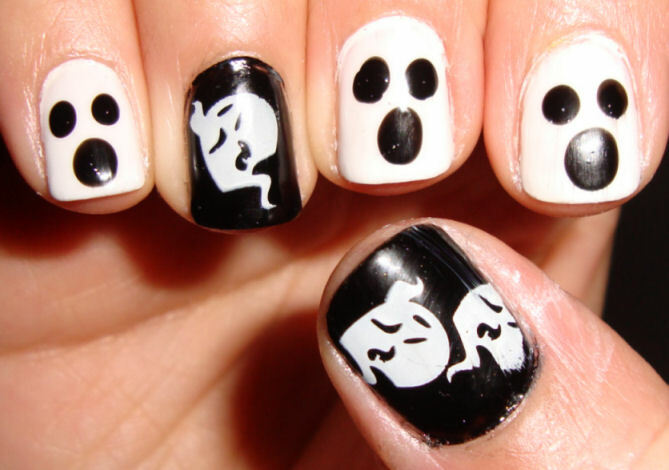 Cute easy to do Halloween nail art! Bats flying around! sooo cute! Boooooooo..... Adorable ghost nail art for Halloween. This reminded me of Jasper! 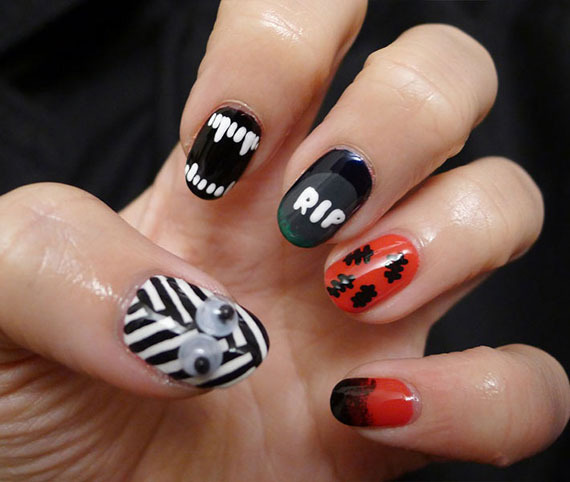 If you loved these cute easy to do Halloween nail arts, this tutorial is a must for you. Check Five cute and easy Halloween nail art tutorials done by MissJenFabulous for her YouTube channel. 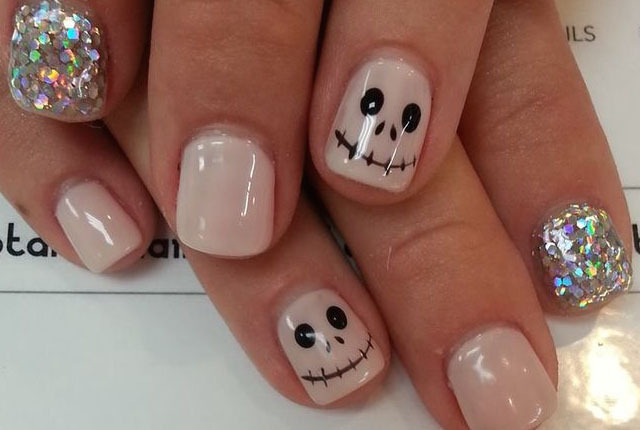 I hope you loved these adorable nail art ideas for Halloween. Try them all and share them with me on Facebook, Instagram or Twitter!